The Hotel Airport Annex located in Mumbais Andheri East is designed on nature tones, creating a peaceful environment for a comfortable stay. The rooms feature a statement wall of shades of green, long windows with curtains in coordinating green tones, and small pieces of art, making you feel as if you are amidst nature itself. The furnishings are minimal and natural light is plenty, resulting in a well-lit and soothing atmosphere. 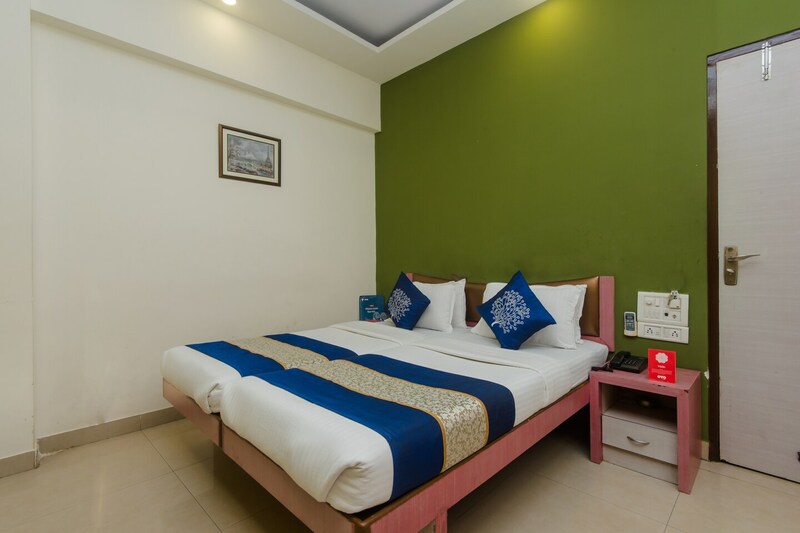 The hotel provides a common seating area with leather sofas, elevator provision, free wifi connectivity, power backup and parking facilities. Cards are accepted at the hotel, making the payment process hassle-free and simple.